Chris Coleman has insisted he was never going to hover like a vulture in the hope of landing a Premier League job. 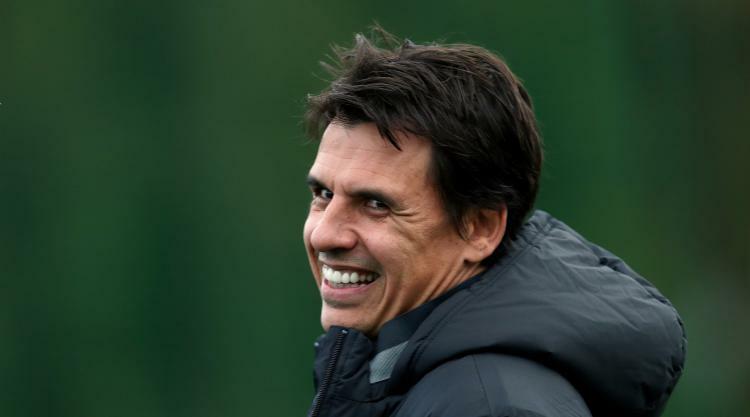 The 47-year-old former Wales boss accepted the task of restoring Sky Bet Championship Sunderland's fortunes at the weekend after failing to agree a contract extension with the Football Association of Wales. Having enhanced his reputation by guiding Wales to the Euro 2016 semi-finals, he could have been forgiven for biding his time for a less taxing position to come along, but Coleman was not going to wait for the axe to fall on one of his colleagues. He said: "My industry is a cut-throat industry. Not all great people work in my industry. "I've seen it before where managers are struggling, managers out of work in directors' boxes smooching around directors because they're looking for that job with the guy in the dug-out going through absolute hell. "Not one person can point a finger at me and say, 'He's a vulture'. I don't like to see other managers struggling." Coleman knows he has taken on a major challenge at the Stadium of Light - the Black Cats head for Aston Villa on Tuesday evening rooted to the foot of the Championship table and without a home league win in a record 20 attempts. He said: "I'm not put off by what's in front of me, what's coming, tough, hard times. I know what's coming, but I've been through it before. I've come through that and I'm confident I'll come through this. "I just want to get on with it." Where an immediate promotion back to the Premier League was Sunderland's aim as the season got under way, their ambition has had to be tempered 17 games in. Asked what would represent a realistic target, Coleman, who is moving his family to Wearside, said: "Safety from where we are. That's the aim. The sooner we get away from where we are, we can set a new target. "To be bottom of the league after 17 games and start setting unrealistic goals, I don't like doing that. What we've got to do is get away from where we are, otherwise we will be in a relegation battle. "We've got a lot of games, a lot of points to play for. We've got a lot to get right."